Home beauty banter how to know if your mac lipstick is fake How to spot fake MAC products MAC real vs fake mac products Real VS Fake Mac Cosmetics Products: How to spot fake MAC products. Fake cosmetics are all over the market these days. 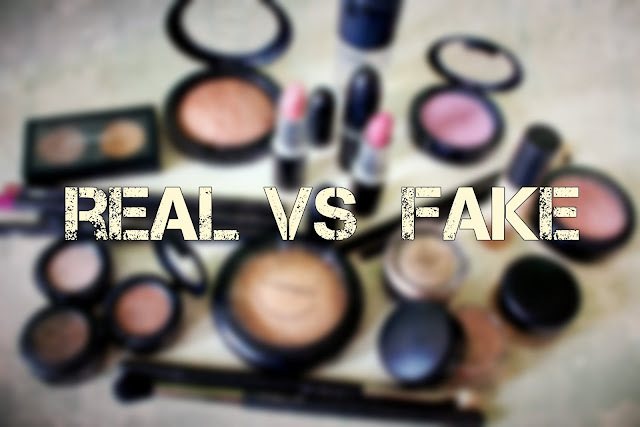 Be it fake people or fake cosmetics, you should always stay away from them. MAC Cosmetics has the largest fake market in the world. And you will be really amazed to see how beautifully people make these counterfeit MAC products, most of the time they are so close to the real ones that it can even give the biggest MAC experts a run for their money. During my early days of makeup love, I happened to order a MAC lipstick and concealer from Ebay. Ebay is considered the world's largest online black market. From then till now, I have had almost a hundred of MAC lipsticks, but the pain of receiving fake MAC products still stings me. I don’t want this to happen with you. So today, in this post, I’ll talk about the ways in which you can spot a fake MAC product instantly. This is a much requested post and I hope that in my own little way I can somehow help you. The color of the outer box and as well as the bullet of the real one is darker, glossier than the fake one. The fake one is kind of grayish and is less shinny. See the picture. 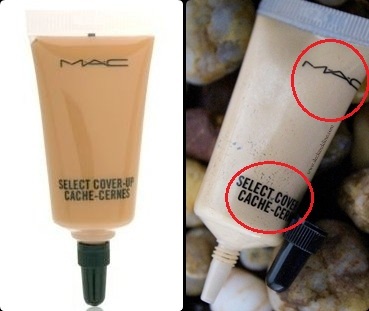 The best way to spot a fake MAC lipstick, just look at the “MAC” written on the bullet cap. The original one has the word “MAC” carved on the bullet, whereas the fake ones are just prints. See, the letters on the fake one have already started to come off. Also notice that the words on the real MAC is places closer to the rim than the fake one. Smell:- The real one will have MAC’s signature vanilla fragrance whereas the fake one will either have a very chemical fragrance or will have no smell at all. Bullet ‘Texture’ :- The real one is very smooth to touch, has a really nice buttery top coat kind of surface. Whereas, the fake one feels very plastic-like. Size:- The fake ones will always have different sized packaging, either it will be longer or wider. Mine is a tad bit longer. The bottom:- The label at the bottom of the fake MAC is shinier and is more silver, whereas, the original MAC label is matte and is smoked silver kind of a shade. The aluminum portion of the bullet:- The fake one just has a boring aluminum thing, no glossiness or shine. The real one has a glossy, shinny look to it, maybe it is because it has a percent of steel in it. The silver rim:- Pay attention to the silver rim. See the picture, the cap shuts perfectly in case of the real one, but not in case of the fake one. Last, but not the least, the quality will definitely differ. 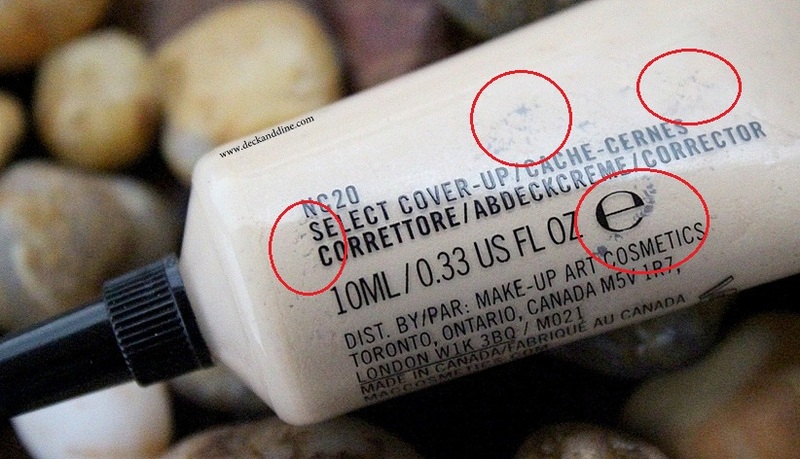 For instance, the concealer I received had already separated inside the tube. “Jaago Grahak Jaago”. Never ever buy MAC products from places other than genuine MAC stores. Don’t get fooled and lured by the price tag the fake products come at. If you are living in India, you can buy from Nykaa though, they sell genuine MAC products. But never order from Amazon, Flipkart and random Instagram sellers. They sell at much lesser rates and few even have the audacity to claim the products to be authentic. I came across an Instagram seller once who said that she is selling original MAC lipsticks for 300 each as she got them in bulk. You think I am a fool? Flipkart charged 1450 for a lipstick, but delivered a fake one to one of my friends. So Beware! They can charge you huge and still send you counterfeit products. Shop only from authentic MAC Stores or from MAC website. There are many variations of fake products as well. Some are A copy, some are A+ copy, some sellers claim them to be first copy, few are second copies. Remember, copy is copy, fake is fake. No matter how negligible the difference is, a fake will always remain a fake. If your city doesn’t have a MAC store, you can surf Nykaa. 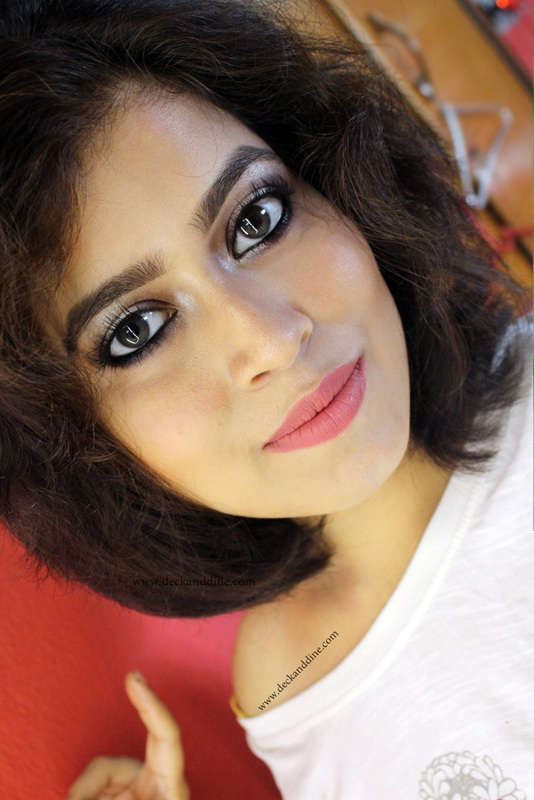 If Nykaa doesn’t have the product of your choice, please wait till you can manage a trip to the MAC store. Trust me; it is better to wait than to harm yourself using fake products. Also, let us know if you ever have got fake products, knowingly or unknowingly..